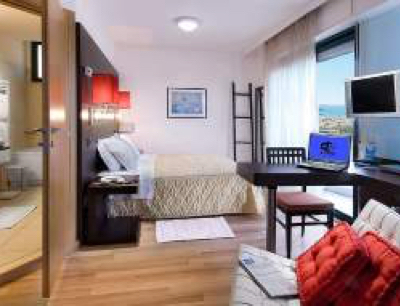 All bedrooms are equipped with sea view balcony, parquet, wi-fi, air conditioning, broadcasting radio, Led TV 32″, direct dial phone, hairdryer, mini-bar, safety deposit box. 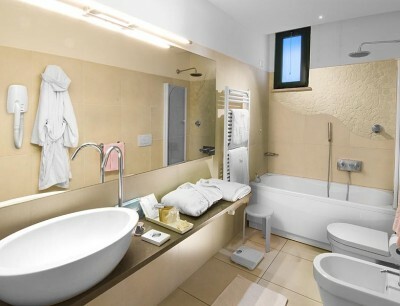 In the room also for you a soft bathrobe and courtesy set. 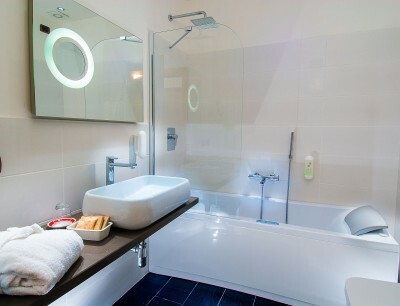 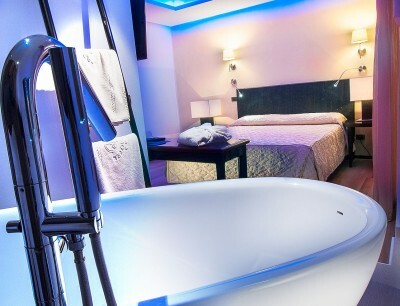 double bedroom with a modern hand held shower rain effect or Jacuzzi; it has a Sky box and distinctive furnishings. 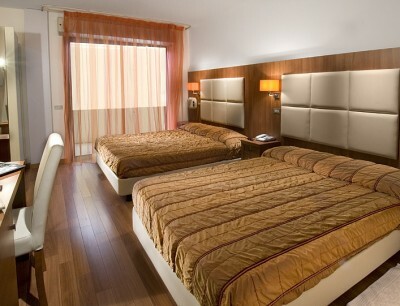 This room can accommodate one to four persons with maximum comfort. 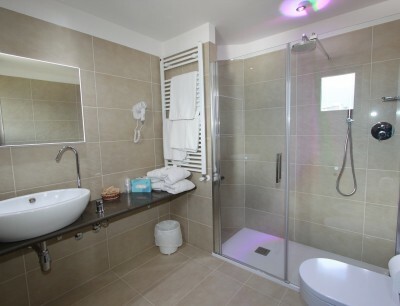 Double room with renovated furniture; It offers all the services listed above and can accommodate one or two adults. 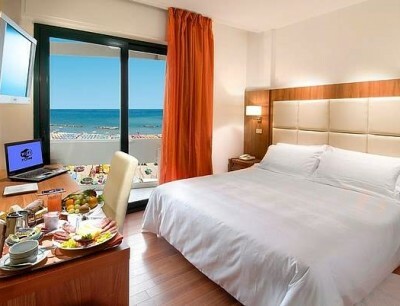 A cot can be added for a baby. 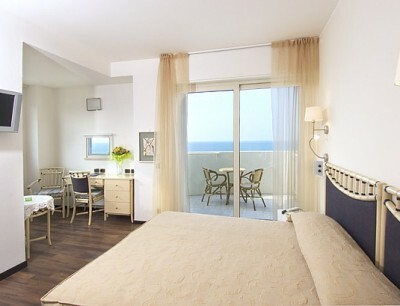 Double room with renovated furniture with all the services listed above; It may contain from one to four persons. 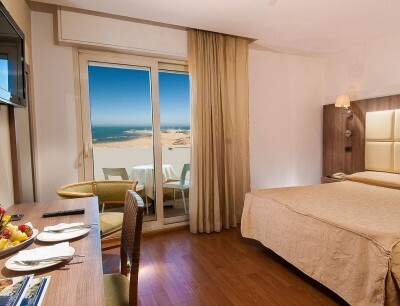 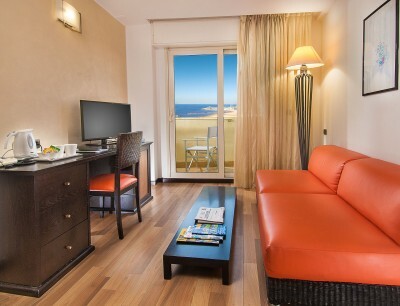 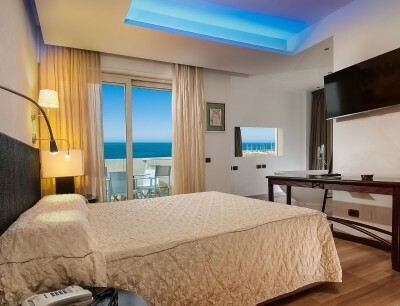 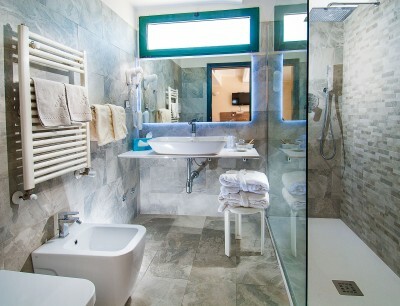 Romantic Suite with sea front balcony, panoramic bathtube, modern shower and interconnecting doors. 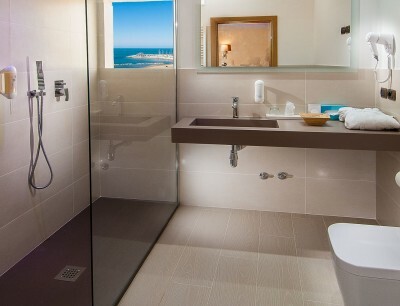 Renewed rooms are equipped with new air conditioning system, new matresses, new bathrooms with spacious shower with large rain shower head, always in the bathroom anti-fog backlit mirrors and magnifying mirrors, large washbasins.